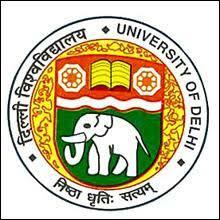 Visit Delhi University official website and click on New Registration. Enter Personal, Academic, Mailing Address, and Guardian details. Upload photograph and signature and certificates. Complete the payment through online process. Submit the application form and take a printout. Availability: Application form for DU LLB 2019 will be accessible for students from 11th June 2019 to 25th June 2019. Application will be available only online. Tentatively the portal for application form will be open for around a month. Registration: For registration of DU LLB 2019, candidates must visit the institute's official website. Step 2: Upload images – Candidate needs to upload a recent photograph against a white background and a digital signature for verification at the time of examination. Self-attested copy of Caste/PWD/CW certificate (if applicable). Note: After uploading above mentioned images, candidates are required to select name of the valid identity proof and then enter number. Step 4: Payment of application fee – Candidates have to pay the application form fee to complete their registration process. Details about DU LLB application fee will be available with notification. Application fee will vary with the category of candidates. Check table below for last year’s fee amount. After successful payment of application fee, candidates won’t be able to make any modifications in DU LLB application form. Also, a confirmation email will be sent to the candidate’s registered email address. Step 5: Downloading completed DU LLB 2019 application form – After successfully submitting DU LLB 2019 application form, candidates can download and print their application form. Application form of DU LLB 2019 will be available with form number and QR code. Aspirants are advised to keep application form safe until conclusion of admission rounds. What is the Application process for the DU LLB 20017? Date: The DU LLB application form will be issued in the first week of April 2017. The application forms should be submitted by the fourth week of April 2017. Procedure: The DU LLB application forms will be available on the official website. Candidates can register online. Details: The details required are as follows Name, Date of Birth, Gender, Mobile Number, etc. Where can I apply for DU LLB online? To apply online candidates should visit the official DU LLB website of Delhi University. Where can i download DU LLB 2017 application form? Applications for DU LLB 2017 can also be downloaded from the official website of Delhi University. What is the application procedure for DU LLB? Go to the official website of DU LLB Online Application Processing System. Register yourself at the DU LLB website by providing your name, email address, valid mobile number and create a password. Now login to DU LLB 2017 application processing website and fill in information, such as your parent/guardian's name and mobile number, choice of city, and choice of test paper(s) that you wish to appear, date of birth, gender, address for communication, category and PWD status. You are also required to provide your education qualification. Review your DU LLB application for one final time and submit. How does the application fees vary for DU LLB? The DU LLB application fees vary according to the category of the candidate. What is the application process for the DU LLB 2017 online form? Candidates need to register online to get started. After the registration process is complete, candidates can begin the online DU LLB application process. What are the details which have to be filled during the application process?